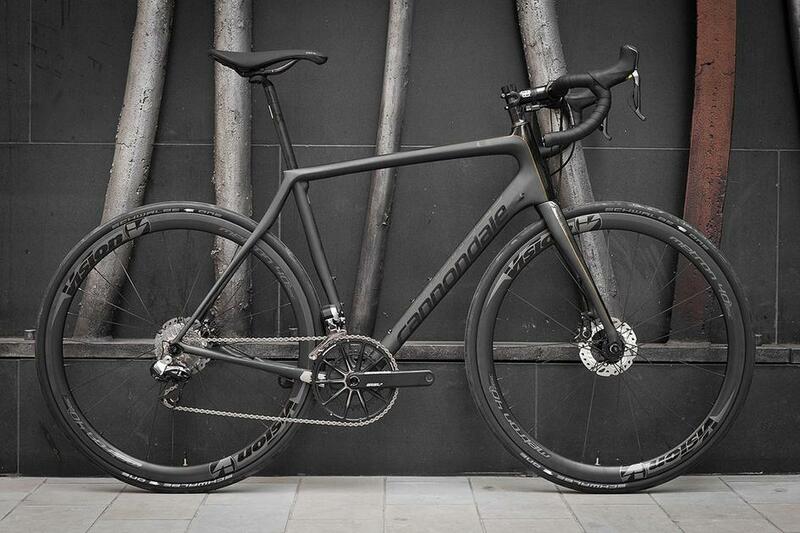 Part of Cannondale's highly acclaimed Black Inc. collection, the Cannondale Hi-Mod Synapse Disc is one of the finest factory standard complete bicycles in the world. Released in limited quantities, Cannondale describe the Black Inc. series as "Our Dreams, Your Dream Ride", and it's easy to see why. Without the concerns of price point for the mass market or the UCI weight guidelines that govern the pro circuit, the Black Inc. series sits firmly in the dream bike category. 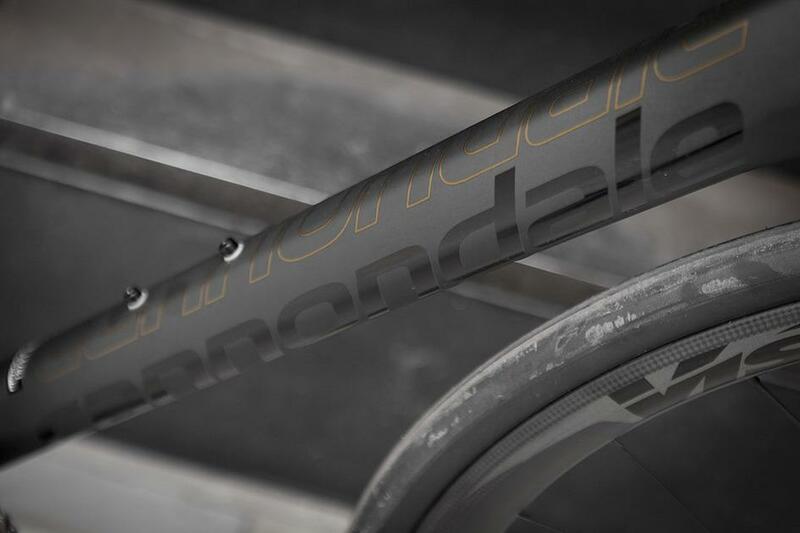 The frame features Cannondale's proprietary BallisTec Hi-MOD Carbon for stiffness and fully tuned compliance at incredible light weight. 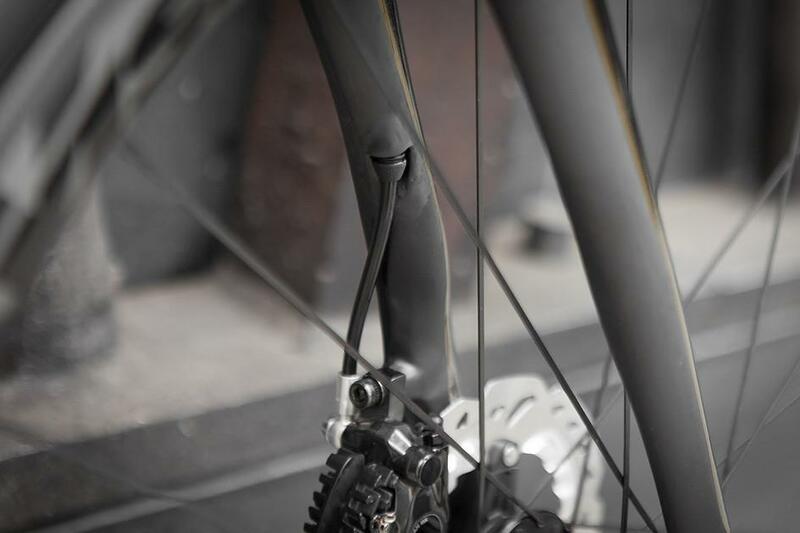 The 2015 Synapse Black Inc. frame features some new shapes and details for a more aero and more compliant frame. 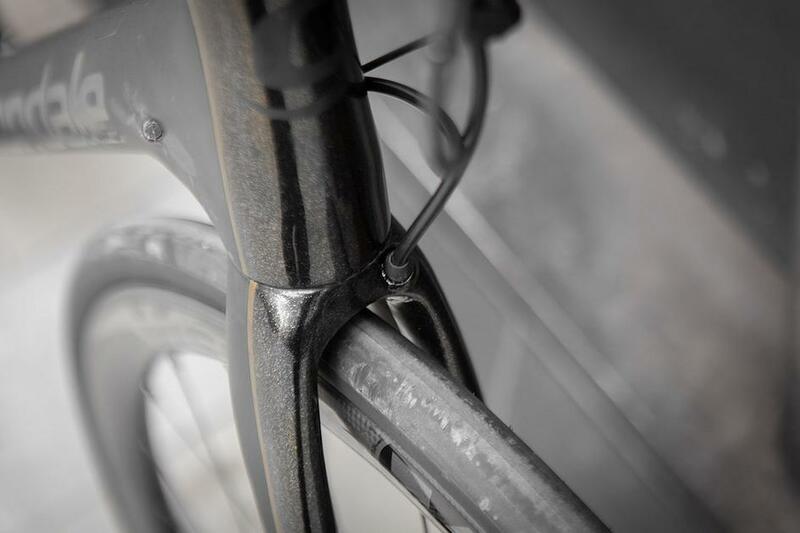 The seatstays are a work of art, and the cable routing on the fork is some of the most innovative we've seen. Subtle gold accents highlight the gloss and matte finish. 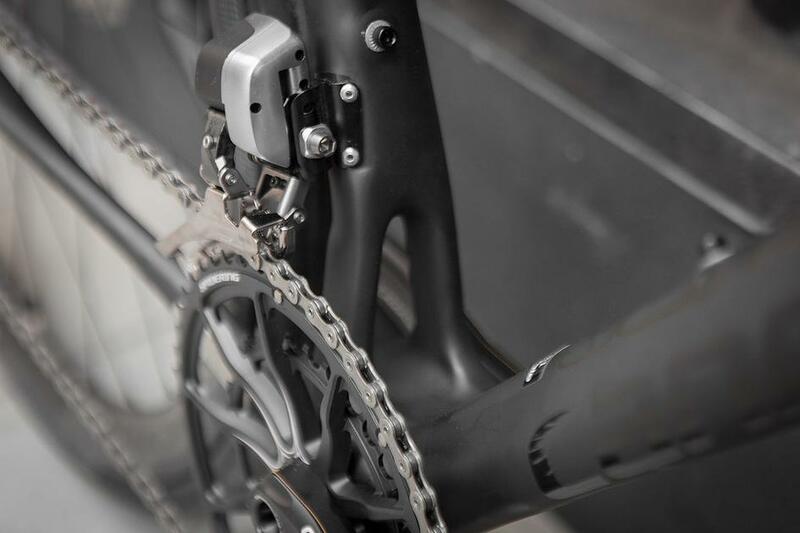 Equipped with Dura Ace 9000 for the very pinnacle of electronic shifting, Cannondale have chosen their own HollowGram siSL2 crank, saving weight and, we think, adding more personality. The Vision Metron Disc wheel set provides a stable choice for the winter months, being shallow enough to evade the rigours of the wind and with the convenience of the clincher tyre format. 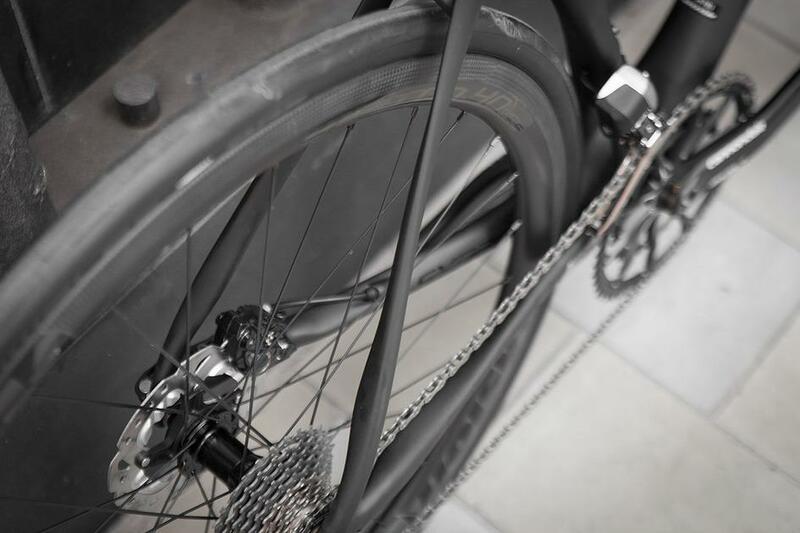 If you are looking for a highly adaptable road bike, winterproofed with disc brakes, then this could well be for you. Though with the shining performance of the Cannondale Black Inc. Hi-Mod Synapse Disc, will you really want to get off it when the summer returns? See more in store or contact us for details.